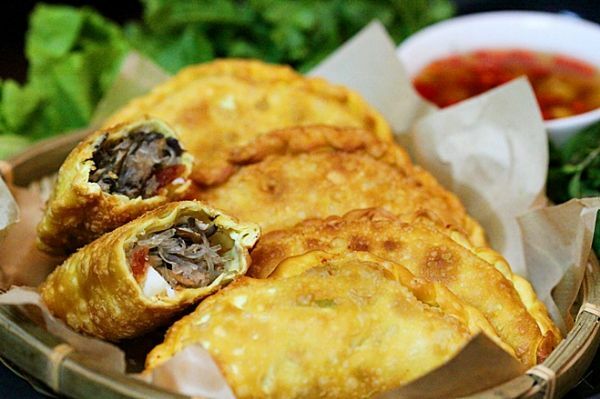 Food is at the very heart of Vietnamese culture. Almost every aspect of social, devotional, and family life revolves around the procurement, preparation, and shared pleasure of nourishment. Even commercial life: more than half of Vietnam’s population makes a living in agriculture or the food trade. Markets are on every corner; cooks on every curb. A sneeze elicits the blessing com muoi, or “rice with salt.” Below are a few things to keep in mind when while looking for a bite to eat in Vietnam. Many restaurants in Vietnam (especially Hanoi) don't always look like traditional restaurants in the US or Europe. Sometimes, the "restaurant" is the front room of someone's house, and they serve food to you in what is essentially their living room. Sometimes the "restaurant" is just a grill setup over an open fire on the sidewalk. If you see people sitting on little plastic stools, go ahead and join them. We did this many times, and had amazing meals, and never died. It's perfectly safe. 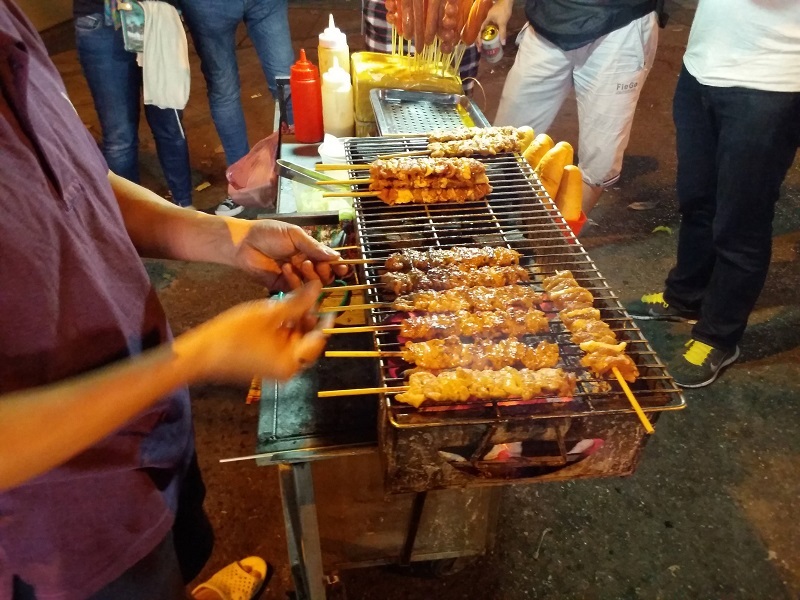 This golden rule of eating in a foreign city applies anywhere, but especially for Vietnam. If you look into a place and see nothing but wide eyed westerners looking back at you, run away. Often times this tactic does mean that you will end up going into places that may appear to be less than "100% sanitary" (though you'll get over that quickly in Vietnam), and they most likely will not have a translated menu for you. Deal with it. Find someone who is eating something that looks good and point to it when you order. Odds are you'll get delicious, authentic food, and for a fraction of what you'd pay in a restaurant that caters to foreigners. 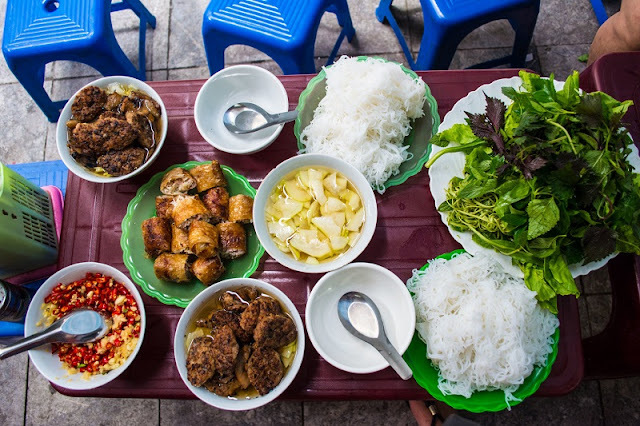 Don't always expect to get a menu: Many places we ate in Vietnam only served 1 dish. You basically walk up, grab a stool, and within 30 seconds someone walks over and puts down a bowl or plate of what ever it is that restaurant makes. It could be skewers, bun cha, pho, or something else you may not always recognize, but whatever it is, that's what you're going to eat, there are no substitutions. 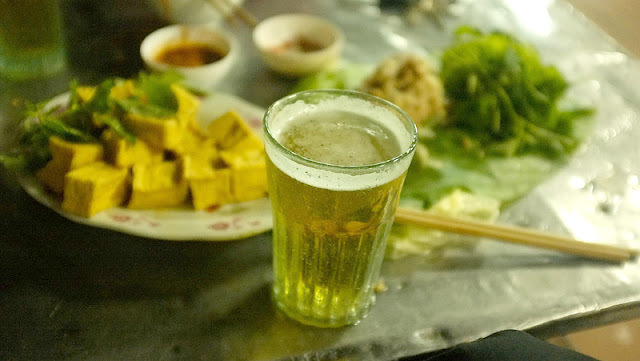 This is a dirt cheap local style of Vietnamese beer. Expect to pay a few pennies for a glass. Bia Hoi literally means fresh beer. It's brewed each the morning and is sold later that day! Don't be turned off when you see it served with large amounts of ice. It's surprisingly refreshing and when it's hot and humid (even inside the air conditioned rooms), you'll be thankful. There are also numerous varieties of locally distilled spirits, which do not include the reptilian element - even if they may taste as if they do. Fruit wines, such as apricot, orange or lemon, are also common, and Soft drinks are processed from the many varieties of tropical fruits. Bottled drinking water should be checked to ensure that the cap or seal is original and intact.